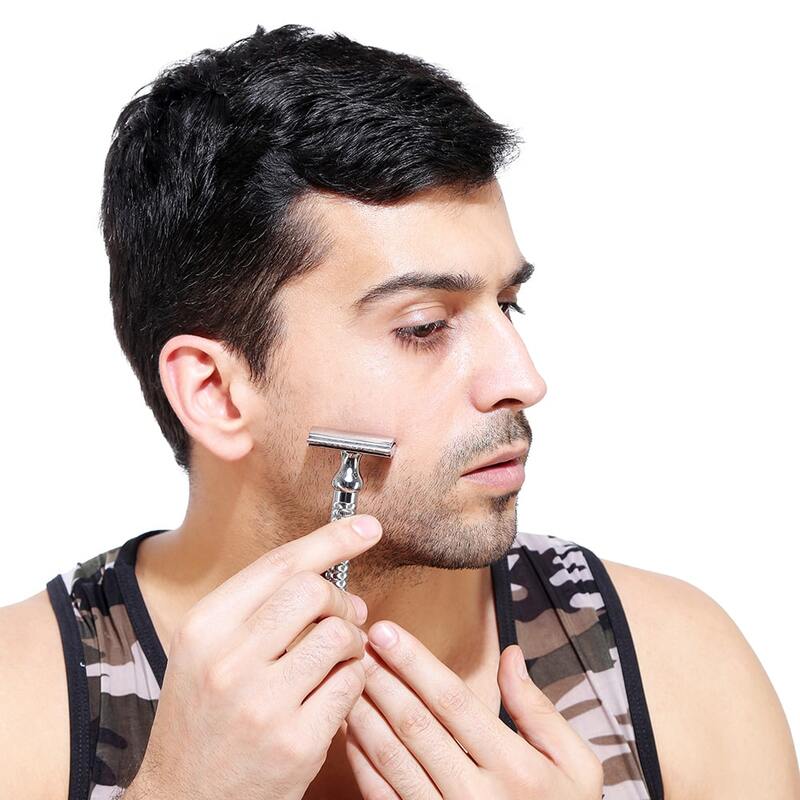 This skin friendly razor with cut-minimizing system eliminates nicks, and bumps without any irritation to give the alpha males that professional and perfection finish shave. 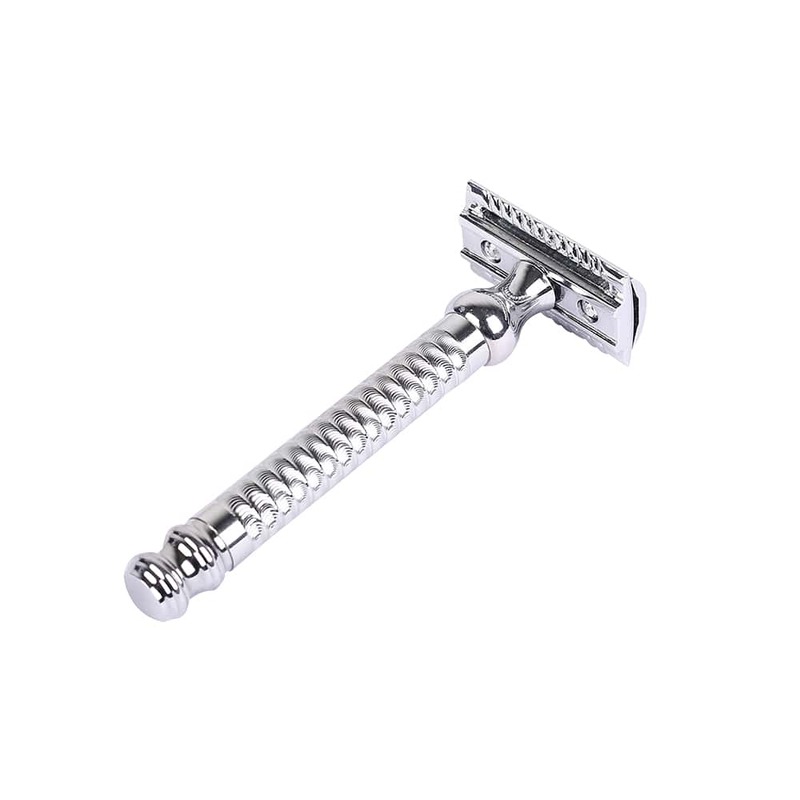 Avoiding plastic and being made from superior grade and heavy nickel-chrome finish stainless steel material this razor is eco friendly. 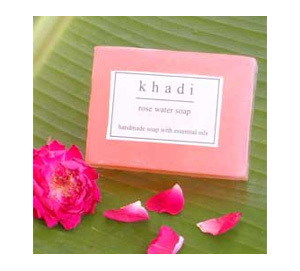 Its ergonomic design and 4 inch long smart grip handle gives a sturdy hold even when hands are wet. 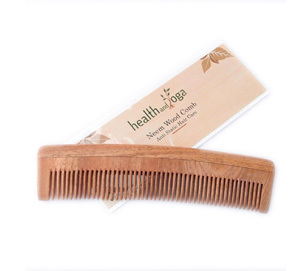 It allows multiple finger grips; cuts hair cleanly in one stroke promoting even and uniform growth. 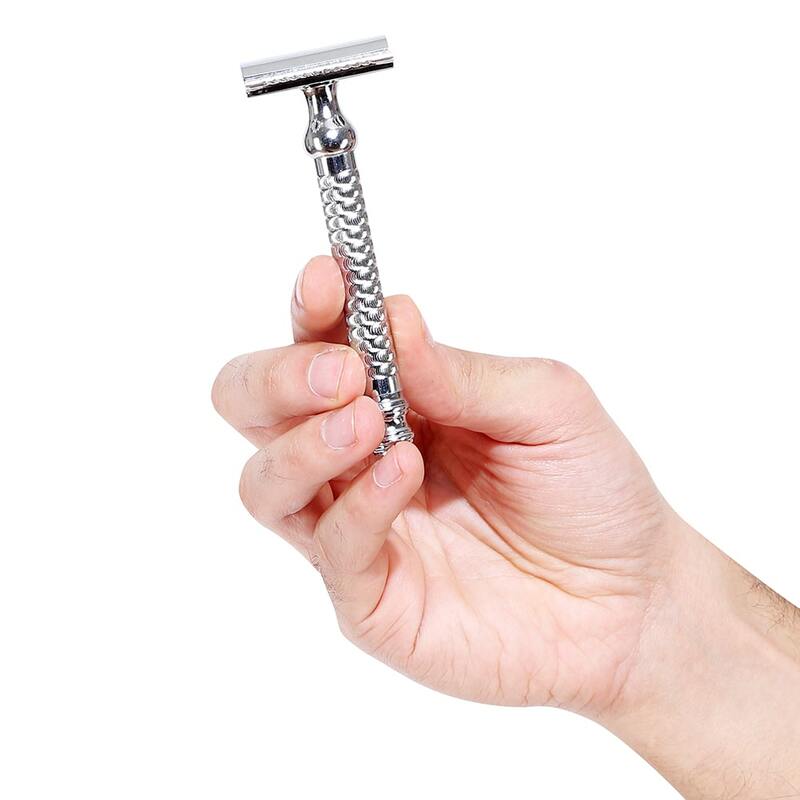 Its hefty crafted metal frame gives it durability and ensures gravity assisted glide for extremely close old school shaves. HealthAndYoga’s smart razor with safety edges applies generous weight ensuring a smooth and effortless glide along the grain. 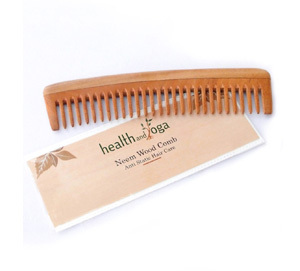 1.7 inch impeccable open comb head design and aggressive clamp setting ensures perfect heft. 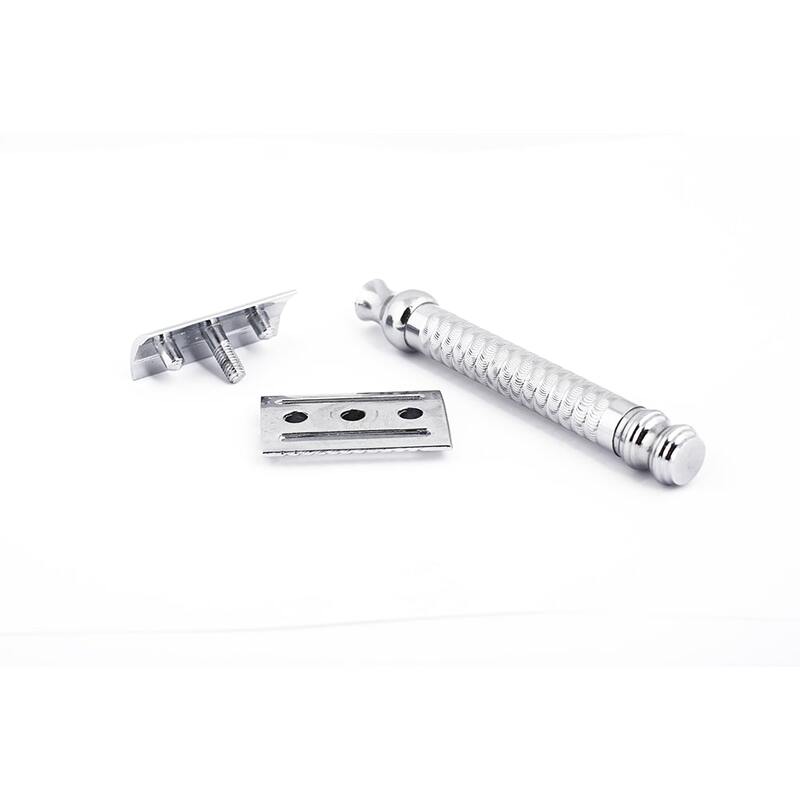 You can safely fit or replacement all standard size double edge blades without hassle and is ideal for mustache, armpit, sideburn edging and beard. 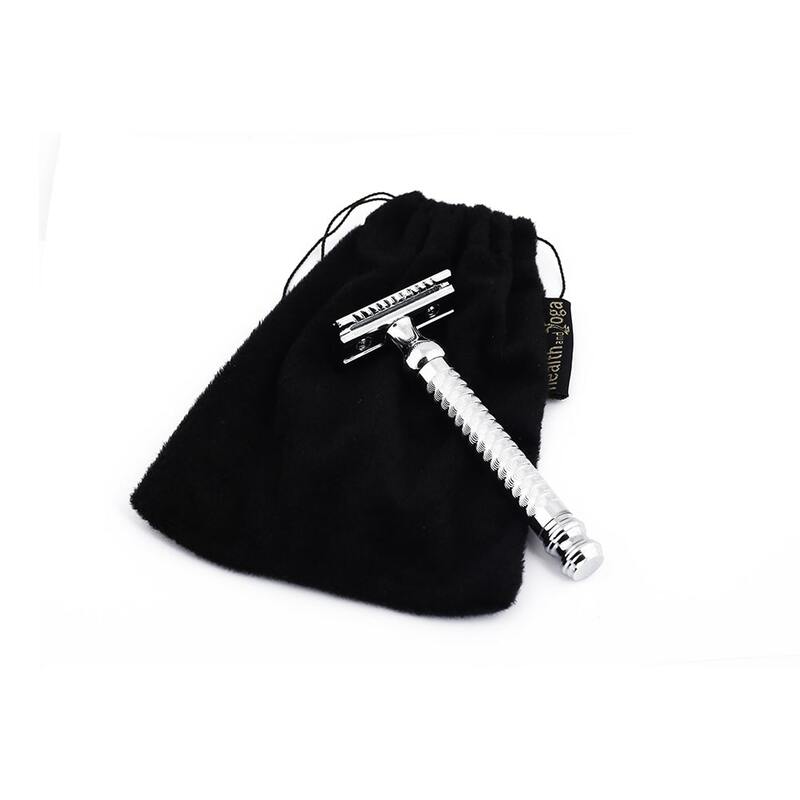 The aesthetic design of this 2 piece double safety razor is perfect for self use and can be an ideal gift for Christmas or father’s day. 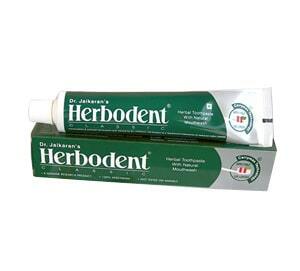 It comes in an attractive pouch and can be travelled along. 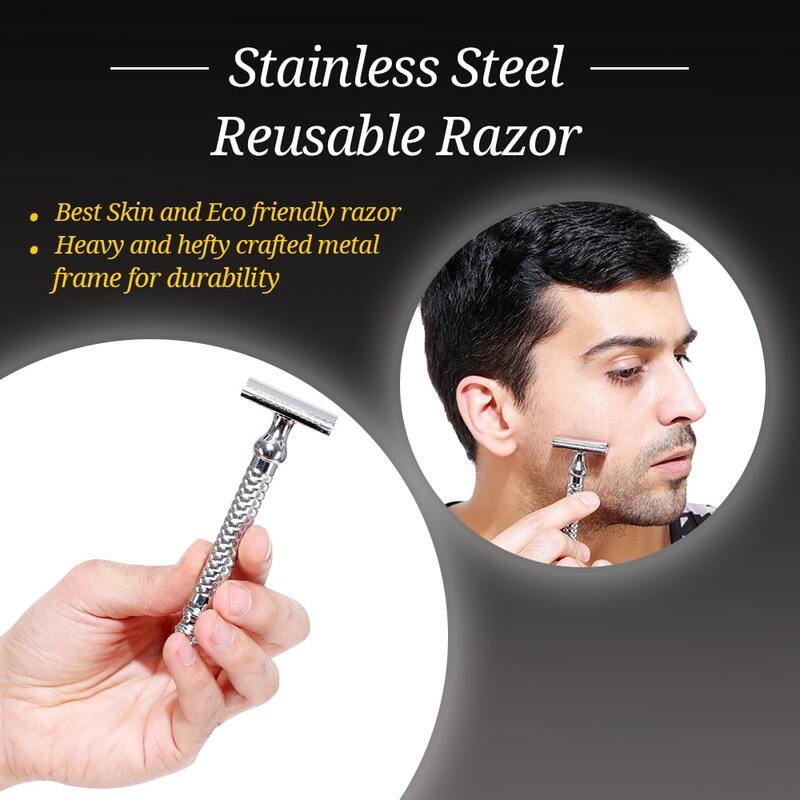 Being economical and long lasting HealthAndYoga(TM)’s Double Safety Edged Men’s Wet Razor will not burn your skin nor your pocket.